The historic lakeside mansion that is now the International Museum of Surgical Science was constructed in 1917, under the careful direction of Eleanor Robinson Countiss (for which it is named) to house her family. Her father, JK Robinson, an executive of the Diamond Match Company, generously provided the home building fund. Original interior finishes of polished limestone, Italian marble, decorative plaster, brass fixtures and hardware, eight stone fireplaces, and a gilded metal staircase are among the features which have been preserved. The Countiss family was the sole owner of the building until it was acquired by Dr. Max Thorek and the International College of Surgeons. After several years of renovating the building and forming the Museum collection, the Museum opened its doors to the public in 1954 . One of the few remaining lakefront mansions in Chicago, and the only one open to the public, the building received historic status in 1988, and is listed in the National Register and the Illinois Register of Historic Places and is a City of Chicago Landmark. The Eleanor Robinson Countiss House is designated one of the “Seven Houses on Lakeshore Drive,” a grouping of seven historically significant Chicago mansions on the lakefront. The Museum periodically offers tours of the mansion with an emphasis on its domestic and architectural history. Check our Public Programs page for tour listings. Read more about ongoing research into the history of the Museum building and its former occupants on the Museum’s Blog. 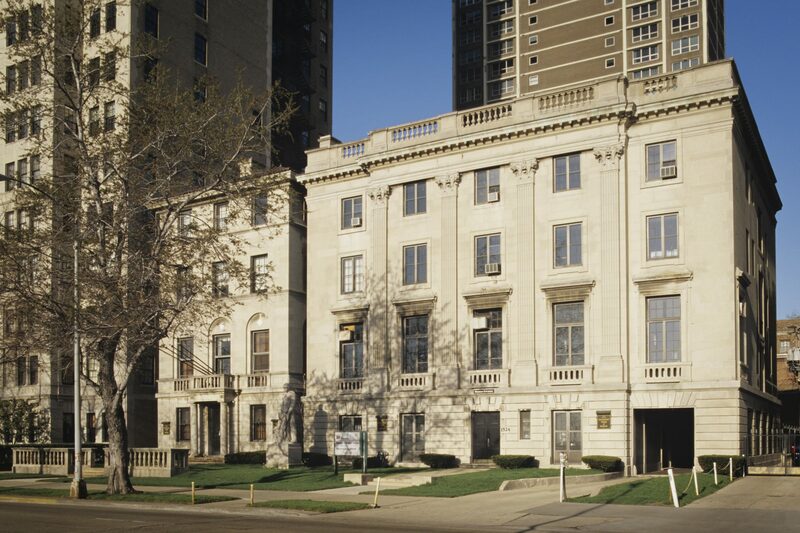 As an historic site, The International Museum of Surgical Science is a member of At Home in Chicago, a consortium of more than twenty historic house museums in and around Chicago.